The flavors of Indochina despite being neighbors, have their own unique tastes and textures. Cambodian cuisine is distinctively known from its other neighboring cuisines. 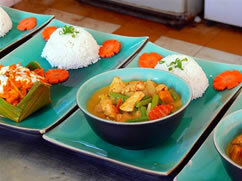 With a combination of various spices, the Khmer cuisine is something to look forward to. 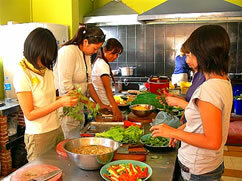 Discover the flavors and the unique taste of Khmer cuisine in this cooking class tour. Make your way to the market as you shop for ingredients and then off you go to prepare your very own Khmer lunch. •	This tour is subject to availability.